The presentation for Hasbro’s Marvel lines was held yesterday in New York at the annual Toy Fair. I wasn’t able to attend, but here is some news coming out of some of the various collector’s websites. Marvel Legends will officially “kick-off” at the San Diego Comic Con this year with an exclusive figure of Thor in his modern costume. Like the Marvel Universe line, apparently Marvel Legends will be numbered too and Thor will begin the sequence with #0. Nothing was mentioned about if this figure will also be available for ordering on HabroToyShop.com. The first wave of figures are scheduled for release in January 2012 and they could start showing up as early as Christmas. The “Build-a-Figure” concept will remain intact and there will be 8 figures per wave. The first wave will include the parts necessary to build an 8-inch Terrax figure. Two other characters in the first wave will be a Heroic Age “Bucky” Captain America and Ultimate Hawkeye. Photography wasn’t allowed, so it looks like we will have to wait until SDCC to see the figures and get more information about the rest of the wave. We can expect the same quality of figures that we have had in the recent two-packs. They will be using parts from existing Marvel Legends, but they will also be introducing new tooling and sculpts along the line. There will of course be “A-list” characters included in the waves, but they want to focus on costume refreshes and re-decos that make sense and not just including a Captain America for the sake of having a Captain America in the wave. 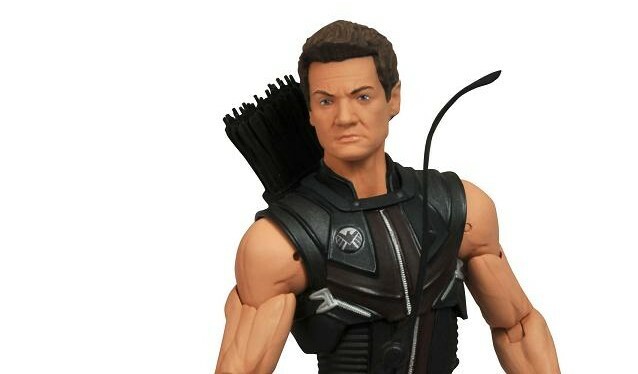 I am really excited to hear that it seems Hasbro has started to listen to the fan’s demand for quality 6-inch Marvel action figures. I was surprised to hear that they will continue the BaF though, after the talk last year that they were leaning more towards just doing larger figures separately. I actually think I would rather they have just sold larger figures separately. I think that having to buy every figure in a wave to complete the extra figure is starting to lose its luster with a lot of collectors, especially with the increase in cost per figure. I don’t want to have to buy another variation of Wolverine to finish a BaF anymore. I believe that having seen the success of Mattel’s DC Universe figures and their Collect and Connect model for the line, helped to decide in continuing the BaF concept. I can’t wait for SDCC now! I want to see some pictures and get some more details on my favorite line of action figures! It’s far too long to wait until Marvel Legends returns in 2012 for me. That is outstanding news! I've been an avid collector throughout the Toybiz years, and thought Hasbro had just about killed the Marvel Legends line. Their sculpts were awful (Tigra! ), the quality tanked, and finding them in stores became a part time job! Whatever happened to the comic book feel the old legends had? I get that the 3 3/4 in. line is cheaper to produce and can make Hasbro more $$, but like most of us when you've come so far in the 6 in. line, there's no turning back. I still believe that Hasbro can turn it around. They've pretty much replicated the entire Star Wars universe for collectors, so I think someone knows there's money to be made from collectors. 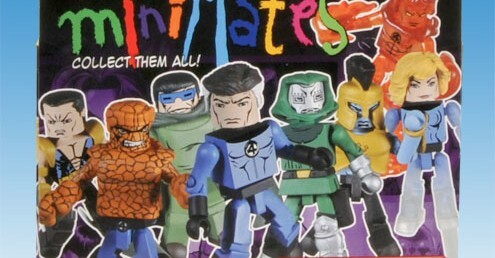 Plus there's dozens of villains still to be made! Wrecking Crew gift pack anyone? Hi The Werewolf! Thanks for dropping by and for commenting! I am really excited about Marvel Legends returning to retail! I'm hoping that Hasbro can recover from their early offerings as well, and possibly get the fan interest back that the line had in the Toy Biz days. I remember not being able to wait for the next series from Toy Biz to hit the shelves, the anticipation for an announcement of who would be in the next series. I really hope Hasbro can bring that excitement back. I fell into the "Marvel Legends void" and started to buy Marvel Universe when Legends ended. I like the Universe figures and the character selection has been outstanding, but 6-inch is my scale of choice. I'm sure once Legends start to come out, that I will start to back off of the Universe figures and be much more selective about my purchases. I will likely only buy "new" Universe characters and pass on the costume changes and A-list repeats. More paint applications please, continue to use quality plastics, widen character selection, be more aware of scale, be careful with "A-List" character repeats, talk to us, listen to us, involve us and we will thank you with our cash!